Click each Sacrament below to show more information. 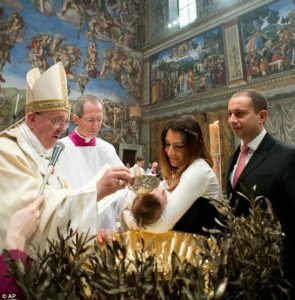 Infant Baptism is generally scheduled during a weekend liturgy, except during the Seasons of Advent and Lent. Baptism is a communal celebration, as are all sacraments. The process of welcoming new members into the faith involves the participation of the parish community who, as part of the rite, promise to be credible witnesses for those entering our Christian community through the waters of Baptism. In addition, two classes (for the parents of the child, and if possible the god-parents) are required and are held at regular intervals during the year, usually on the second and fourth Sundays of the month between the morning Masses. Baptism of persons above the age of seven is celebrated following the Rite of Christian Initiation for Adults (RCIA). Celebration of First Eucharist for children usually takes place during the Easter Season. Preparation for the first reception of holy Eucharist takes place with the preparation for the sacrament of Confirmation. With the reception of their First Eucharist our children are fully initiated into the Catholic Church. 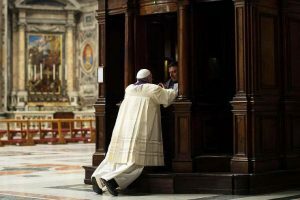 Celebration of the Sacrament of Reconciliation takes several different forms including individually at 4:15pm to 5:00pm on Sundays (Check current parish bulletin) and also communally. 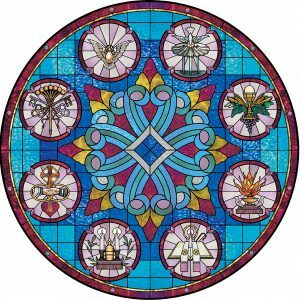 The communal form usually is celebrated during the seasons of Advent and Lent. Private appointments can also be arranged by contacting the parish office. Confirmation is celebrated when the Bishop visits each parish community for that specific purpose. 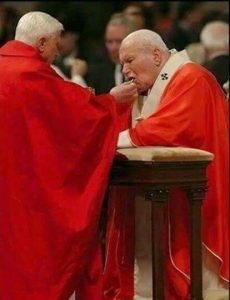 It is, in the Diocese of Saginaw, celebrated before First Eucharist which completes Christian Initiation, usually in second grade. 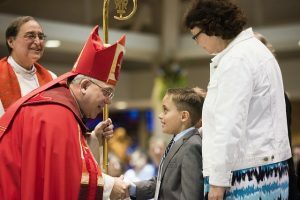 However, preparation classes are also held for older children and youth baptized into the Catholic faith who have already received their First Eucharist, these celebrate the Sacrament of Confirmation with the younger children. Adults who have received First Eucharist are also prepared for this sacrament and can choose to receive it at the parish celebration of Confirmation or at the Cathedral during the Easter Season. The sacrament of Marriage, in accordance with Church law, requires a minimum of six months’ preparation period. Marriages are celebrated any day of the week outside the Advent and Lenten Season. 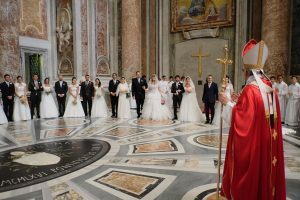 The sacrament of Marriage within Eucharist can be celebrated as part of a Sunday liturgy, like many other Sacraments of the Church. 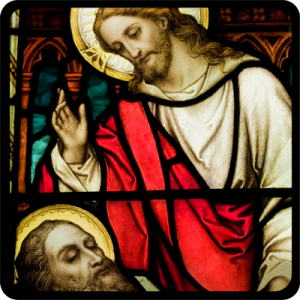 The Sacrament of Anointing of the Sick is not reserved only for the dying or terminally ill. Anyone who is facing medical issues, surgery, etc. is encouraged to receive the Sacrament. It may be celebrated numerous times as in other Sacraments. The sacrament of the anointing of the sick is available for those who wish (at home, at the hospital, or after any liturgy). Mass with the Anointing of the Sick is celebrated annually. “You are a priest forever, a priest like Melchizedek of old.” -Psalm 110. 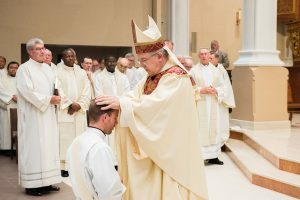 Those interested in more information regarding vocations should contact the Diocese of Saginaw Vocations Office or Father Andy Booms, Director of Priesthood Vocations.